Ideal for fancy dress, flapper parties. Beautiful Black Sequin Brow band Headband With Oval Stone And Black Feathers Headband. 1920's Great Gatsby inspired headband. Beautiful and sparkly with lots of crystals and diamanté and large feather. 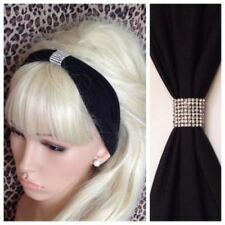 The headband sits on a black elastic band which is very comfortable. The headband is hand finished and may vary slightly. Perfect for a wedding or theme night. I specialise in 1920s and bridal hair accessories so if you liked this, please take a look at my other listings. 1 Piece Headband. - Long smooth white and brown artificial feather. - Size of feather: 19 x 14 cm / 7.5 x 5.5 in. 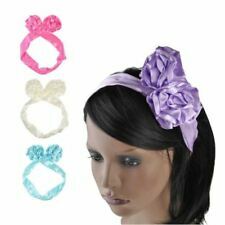 - Elegant wedding hair accessories. - Long ribbon band, fit for most. People always bought together with. Made of two shiny blue material feathers with luxurious gold thread and gold sequins set on a comfortable black satin Headband. 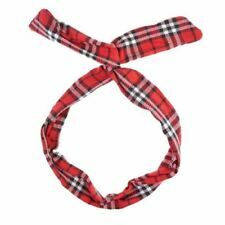 I can make this on a black elastic Headband too so you can wear it across your forehead. Beads appliqué flower design, 1920s style, delicate and elegant. - Suitable for daily wear, also perfect for wedding bride and bridesmaid, girls on prom or parties. 1 x Headband. - Color: Multi-color. Smooth long feather flapper, elastic band. 1 Piece Headband. - Material: Fabric, Artificial Feather and Plastic Beads. - Length of Feather: 18 cm / 7.1 in. - Color: Black. Featuring dark navy blue, gold and silver diamante beading and dark grey faux pearls. This is a good match for several different colours due to the colours of the headpiece. This has an elasticated panel to fit. Featuring multi-tonal beading and teal blue ribbon ties. Self tie ribbons so this will fit any head size. Headband/ Garland/ Browband/ Bandeaux. Black sequin, oval stone and feather browband. 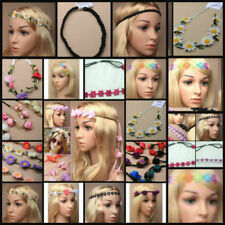 Great for festival wear or fashion. Colours may differ from photos due to flash and lighting, however if you'd like more photographs of the item I'm more than happy to provide you with them. Featuring white and ivory faux pearls and beading. This has an elasticated panel to fit. Handmade Vintage Deco 1920s turquoise blue Peacock Fabric Material Feather Elasticated Headband This beautiful headband is made up of 2 peacock feathers in a classic vintage style! Elastic black band so one size fits all. I can also make this on a solid black headband. You can find this in my other listings. Handmade by me.. Be unique at your flapper party! Can be worn on the forehead or in the hair.. Truly beautiful !! Brand new Check out my shop for other Similar items!! Peacock Feather look Headband Vintage 1920s Headpiece Gatsby Flapper. Condition is New Dispatched with Royal Mail 2nd class Handmade Vintage Deco 1920s blue/green gold Peacock seed Bead feather look Headband This beautiful headband is designed and made with seed beads to capture a feather look design, perfectly created in a delicate yet eye catching way,a true classic vintage style! band size fits all. Handmade,Be unique at your flapper party Brand new Check out my shop for other Similar items!! Suitable for daily wear, also perfect for wedding bride and bridesmaid, girls on prom or parties. - Beads appliqué flower design, 1920s style, delicate and elegant. 1 x Headband. - Color: Multi-color. Featuring dark grey beading and faux pearls. This has an elasticated panel to fit. 1 Piece Headband. - Long smooth beige artificial feather. - Size of feather: 18 x 12 cm / 7.1 x 4.7 in. - Floral applique, covered with clear rhinestones. - Elegant wedding hair accessories. - Golden elastic band, fit for most. Smooth long feather flapper, elastic band. 1 Piece Headband. - Material: Fabric, Artificial Feather and Plastic Beads. - Length of Feather: 18 cm / 7.1 in. People always bought together with.